Bristol South is located in Avon in the south west of England. The seat was created in 1885 and has been held by Labour since 1935. The current member of parliament is the Labour party’s Dawn Primarolo who has served since 1987. I’m 31 years old and I live with my girlfriend in Windmill Hill. I have previously stood for the Trade Unionist and Socialist Coalition, as MP for Bristol South in 2010, as Bristol Mayor in 2012 and as a local election candidate. Each time I have stood it is always on the promise of only taking an average workers’ wage to ensure I can really represent the people that elect me. I am passionate about protecting our public services and have been active extensively in campaigning against austerity, cuts and privatisation. 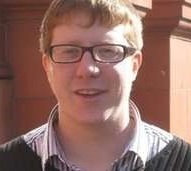 For example I was involved in the successful campaign to save Marksbury Road library in 2008 and have been involved in campaigning against the new plans put forward by the current Mayor and cross-party cabinet to close this and 6 other libraries. Since 2010 I have been very active with the Bristol and District Anti-Cuts Alliance (BADACA), speaking as a spokesperson for them on a number of occasions. I have also campaigned on many other issues. For example, working with Youth Fight for Jobs and others I have called for investment in decent jobs for young people and helped oppose workfare schemes and zero-hours contracts as well as calling for a £10 hour minimum wage so people aren’t working for poverty pay. My candidacy is supported by the Rail and Maritime Transport (RMT) trade union. I believe ordinary people need to stand together and actively campaign if we are to protect and improve our services and living standards. I have supported numerous protests and industrial actions. I believe the voice of these campaigns and of working-class and middle-class people generally would be better stronger if it was represented more in parliament. I am a member of the Socialist Party and work for them as a part-time organiser. We are one of the groups in the Trade Unionist and Socialist Coalition. We campaign for every possible improvement to the living standards of ordinary people but we believe the best way to win these and the only way to guarantee them into the future is to change the way that the economy is structured. Instead of a capitalist system where most of the wealth is owned and controlled by a tiny minority and decisions on how it is used are made in the interests of their profit, we argue for a socialist society. This would mean the biggest business and banks are taken into public ownership so we can decide collectively and democratically how to use the wealth that workers produce to benefit the whole of society. MP’s live in a different world to us. But when we have an economic system that looks after the wealthiest and most powerful, we’ll get these sort of politicians trying to board that gravy train. I will only take the average wage for workers in Bristol. I think it is important that the decisions that politicians make affect them the same as everybody else. I will not allow myself to become divorced from the people I represent by living a completely different lifestyle. I will hold regular meetings locally and surgeries for people to come along and report their issues. I will also look to build strong relationships with trade unions and community groups to help represent people’s views. I’ll stand up for the millions, not the millionaires. Unlike most other parties the Trade Unionist and Socialist Coalition is not representing the failing free market and austerity programme. All this is doing is help the rich get rich while most kids growing up today will be worse off than their parents. It’s time ordinary people got a voice back in politics that stands up for what we need and puts people before profit. I am consistent in my policies and the way I act whereas unfortunately the Green Party have joined the Mayor’s cabinet and been part of implementing the cuts in Bristol. I have a long experience as a campaigner in Bristol, for example in work with the Bristol and District Anti-Cuts Alliance. To be honest I can’t think of anything I can say was a success. 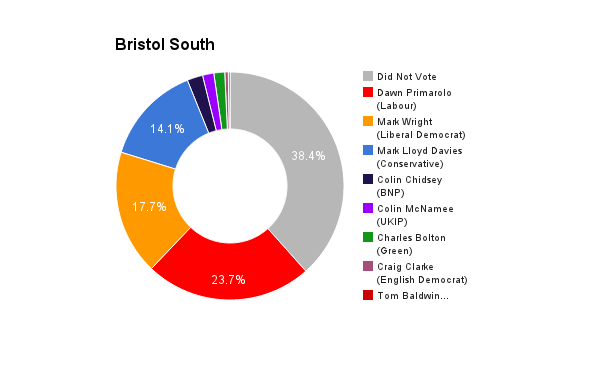 I think people in South Bristol feel worse off than they were when this government was elected 5 years ago. Dawn Primarolo and the Labour Party have done very little to protect local people from Tory austerity. They have done even less to offer an alternative, instead they’ve said they will continue with the cuts. New Labour are the pale blue Tories, there is little to tell them apart. That’s why I think ordinary working-class and middle-class people need a new party that actually does stand up for them. Austerity isn’t working for most people. The rich may be getting richer but the rest of us are suffering stagnant wages, rising rents and prices and cuts and privatisation to our services like the NHS. Where’s our recovery? We’re told that vital services can no longer be afforded but there is plenty of money in this country. Banks were bailed out while the rest of us had to pay for the crisis that they caused. The super-rich avoid billions in tax. They can find the money to replace Trident nuclear missiles and to cut tax for corporations but not for the things we need. Austerity was never about the deficit but about the big-business politicians helping their corporate paymasters make even more profit at our expense. We stand 100% against austerity. The crisis in Britain was caused by billionaires and bankers, not by migrant workers. Immigrants have been used a scapegoats for a lack of housing, jobs and services which is largely the result of austerity. There needs to be united campaigns to protect these things for all. We cannot allow the establishment to divide us and continue to make life worse for all of us. There has been an attempt to use migration as part of a ‘race to the bottom’, driving down wages by bringing in super-exploited immigrants on low pay. This must stop, all workers must receive the same rate for the job. I don’t think an immigration cap will end any of the problems faced by working-class people in Britain and I oppose racist immigration controls. It’s true that living standards for ordinary people have fallen, this needs to be reversed. I would like to see an immediate rise to a £10/hour minimum wage, not £8 in 2020 as planned by Labour. Many public sector workers have had little or no pay rise under this government. I think all workers’ pay should rise automatically each year by at least the rate of inflation. I support action by trade unions to win better pay and conditions for workers. I would like to see the anti-trade union laws scrapped. Things like zero-hours contracts and workfare have also helped bosses hold down wages and should be scrapped. I would like to see rent controls and the building of council housing to bring down housing costs. Transport and utility companies should be renationalised and the prices brought down. The NHS is a vital institution that we should all be proud of but it is being eroded and dismantled by successive governments’ policies. There must be a big and immediate injection of funding to prevent a growing crisis. All cuts and privatisation must stop and be reversed. New hospitals should be built and owned publicly, not by schemes like the Private Finance Initiative (PFI) which bleed money out of the health service. Existing PFI contracts should be renationalised. The private pharmaceutical firms which also make billions from our NHS should be taken into public ownership too. Prescription charges and dental charges should be scrapped. Social care should be invested in, not cut and services should be linked up to reduce unnecessary pressure on the NHS. There is as huge difference in life expectancy between wealthier and poorer areas in Britain. Social change and a more equal society itself will also generate better health. High unemployment, particularly of young people is a scandal. The real levels are masked by underemployment where people want full time work but can’t find it. There should be a shorter working week, without loss of pay, to give more people jobs and give a better work-life balance. The government should invest to create millions of jobs, for example by building council housing, hospitals, schools and projects that help the environment. Stop public sector job cuts and invest in more staff for things like social care. In this capitalist society money is only invested if it can make a big enough profit for a tiny minority of people. Big businesses in Britain are currently hoarding £800b. There’s no shortage of money, people that want work or useful work that could be done. Public ownership and socialist planning would allow us put these things together in a rational way and to democratically decide what our priorities are a society. I think there is a lack of representation for working-class people in politics today. The lack of diversity in Parliament reflects the fact that politicians are mainly drawn from an elite in society. To get better representation I think we can introduce a more proportional voting system, scrap the House of Lords and bring in votes at 16. Voters should be able to recall MPs who aren’t representing them. MPs should be on an average workers’ wage so their lives are not removed from their constituents. The motivation to get into politics should be to serve people, not get rich. There needs to be a political voice for ordinary people so that you aren’t left with a choice between pro-austerity, pro-corporate clones. The Trade Unionist and Socialist Coalition was set up to help build a real alternative. I’d say vote to leave the EU. This is not from the narrow nationalist point of view of UKIP and some Tories. On the contrary, we believe in greater links with the working people of Europe, we have the same interests and can do more together. But the EU is not an agreement between the working people of Europe, it is a bosses’ club and lacks democracy. It is based on free trade agreements which, like the proposed TTIP, have been used to push privatisation of public services. It has been part of pushing a vicious austerity on Greece and other countries. We can leave the EU and still protect human rights and workers’ rights.